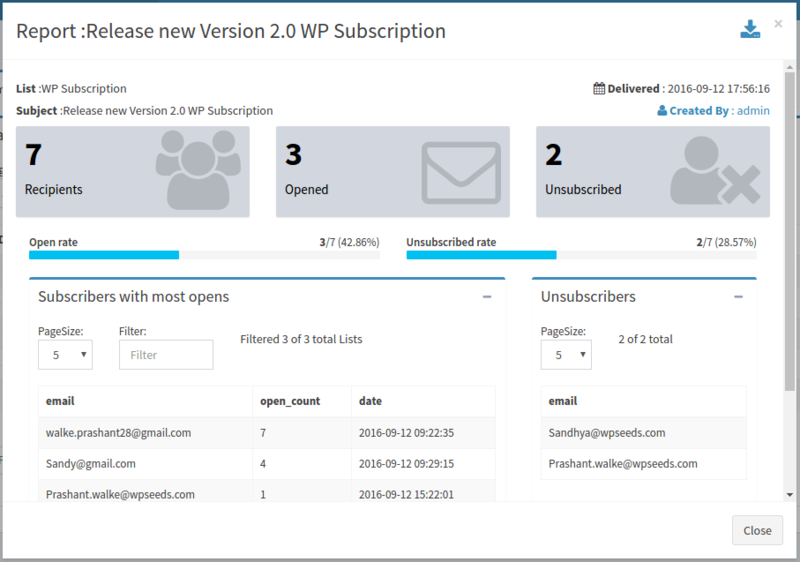 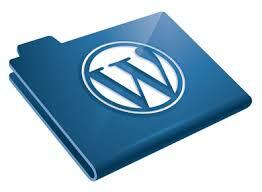 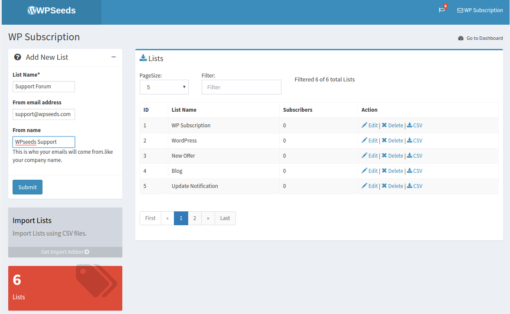 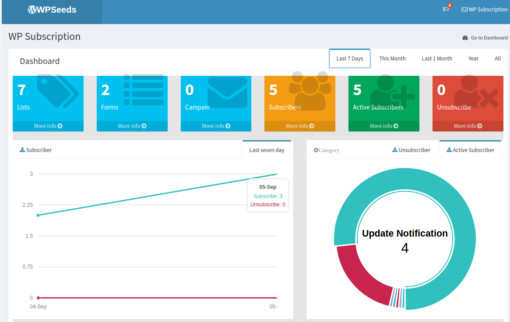 This plugin adds to WordPress the features of subscription with 100% responsive and 100% Ajax functionality. * Download form data,list,subscribers as .csv file. 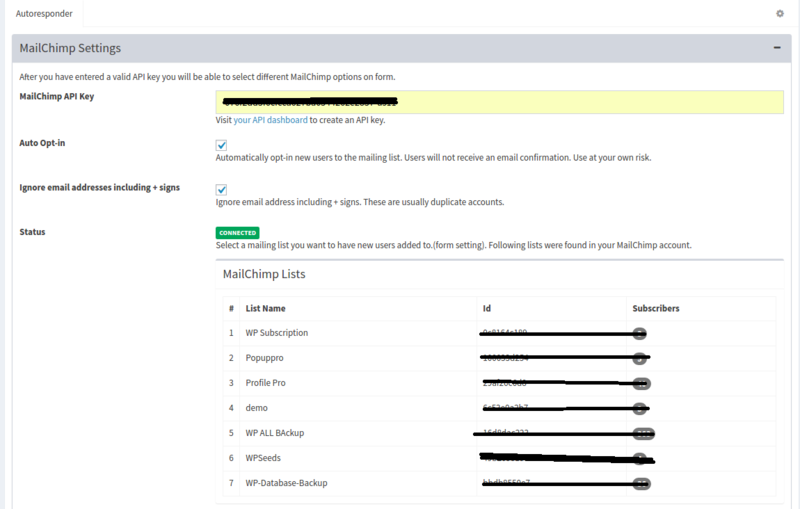 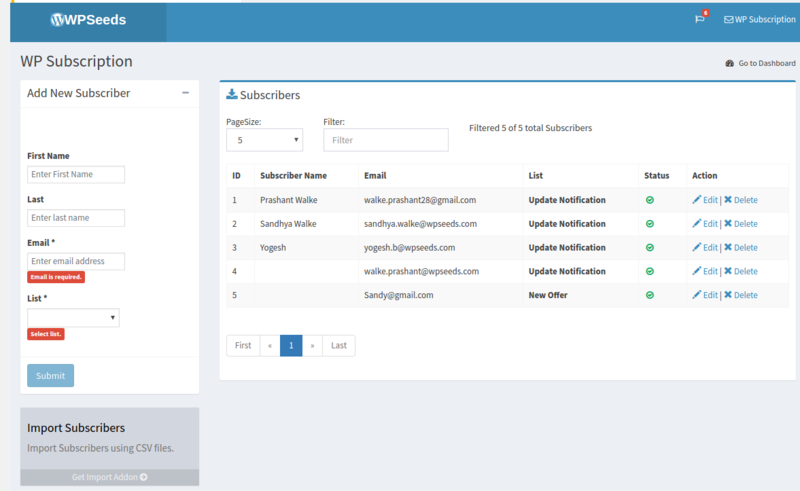 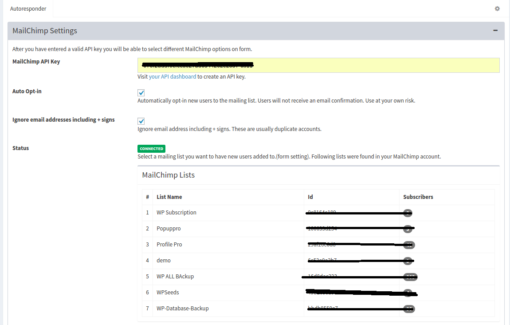 * Options to change text showing in subscription box. 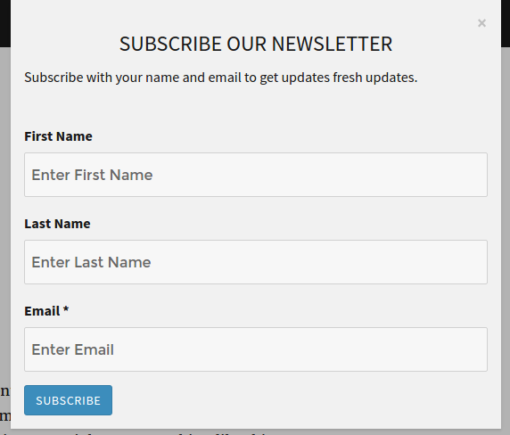 * Change Form styling(custom css). * No coding skills required. 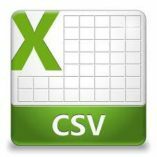 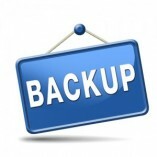 * Available sample csv file for subscribers, lists,forms. 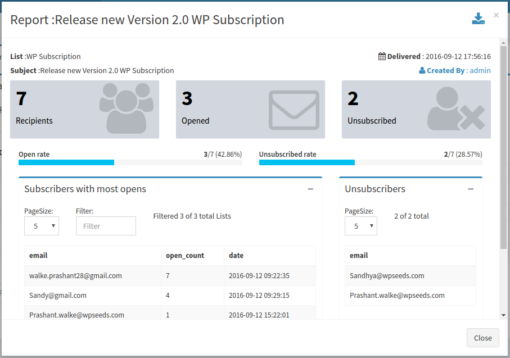 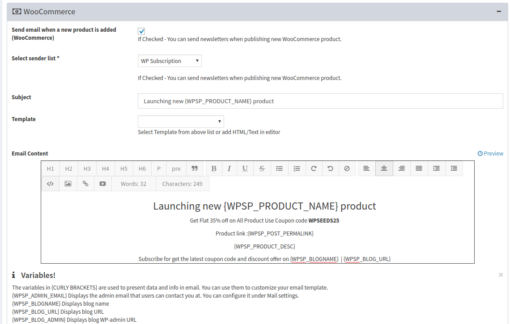 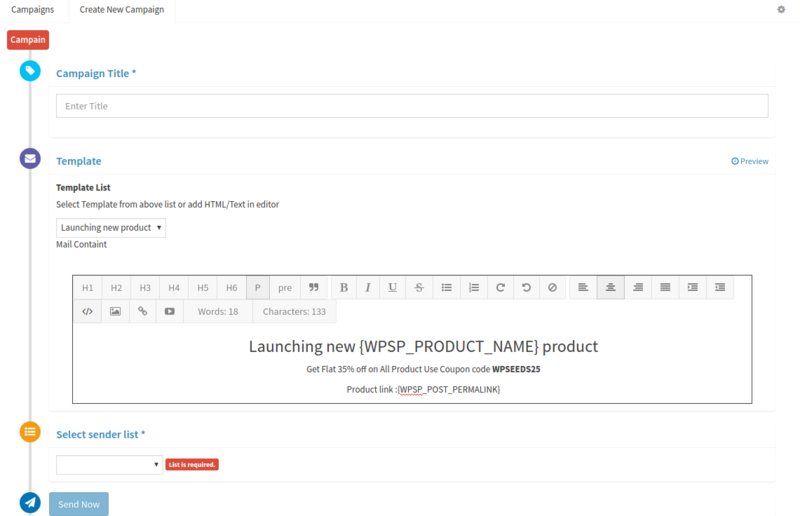 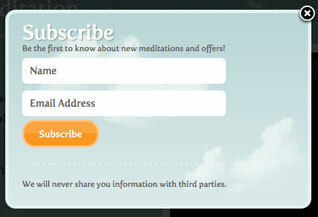 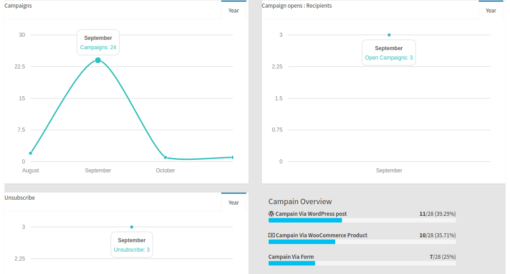 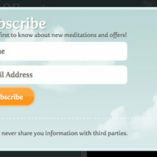 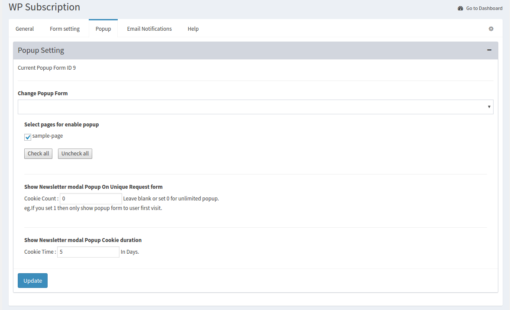 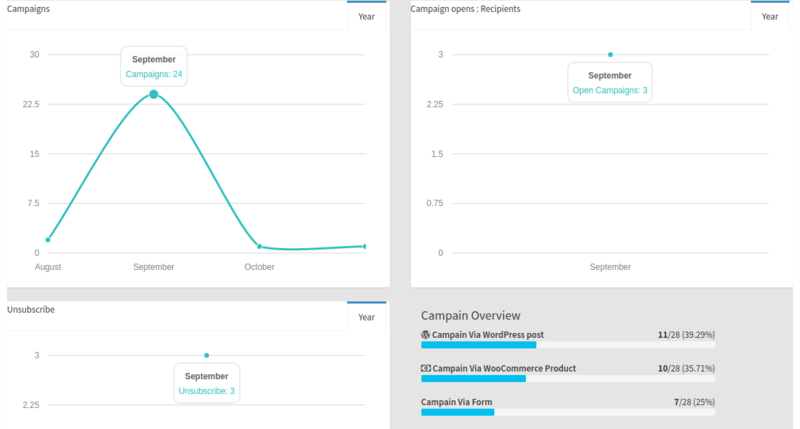 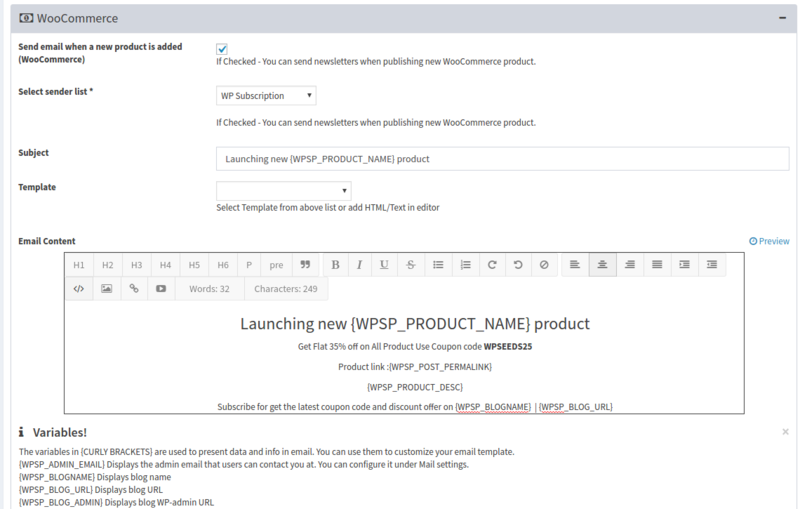 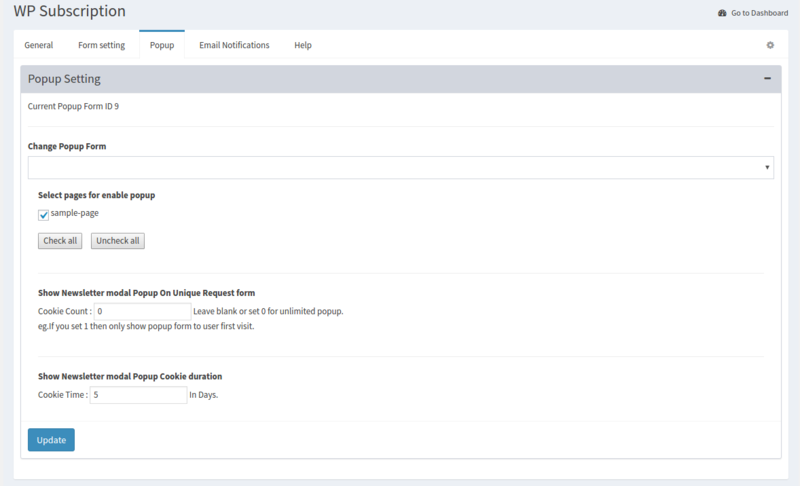 * WooCommerce Integration : Send Auto Newsletter to your subscription list when new product added. 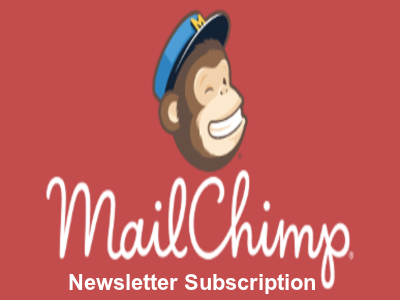 * Post notifications : Send Auto Newsletter to your subscription list when new post publish.